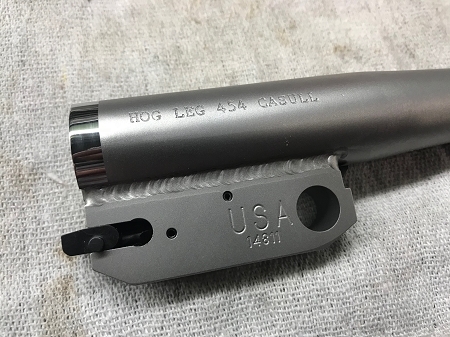 Contact Marty to get an exact price quote on The "HOG LEG" 2017 or to design your own version. 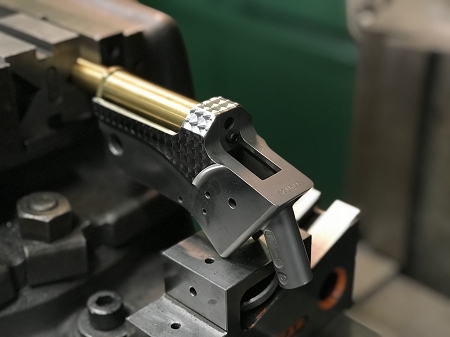 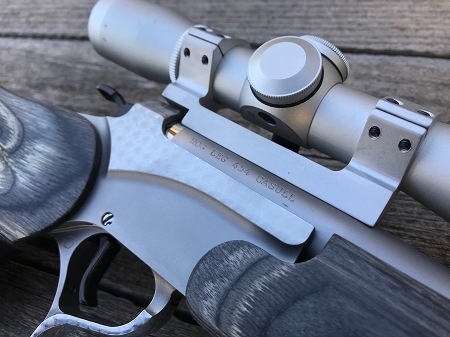 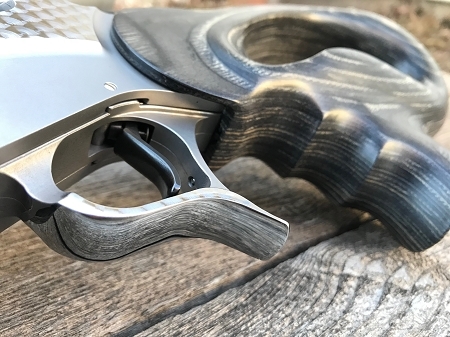 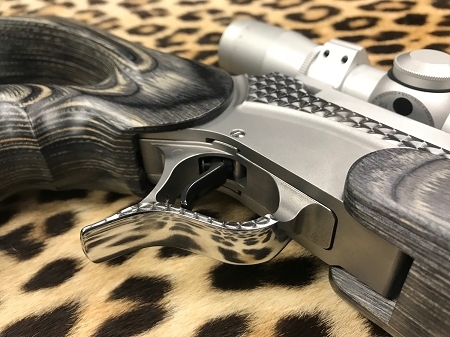 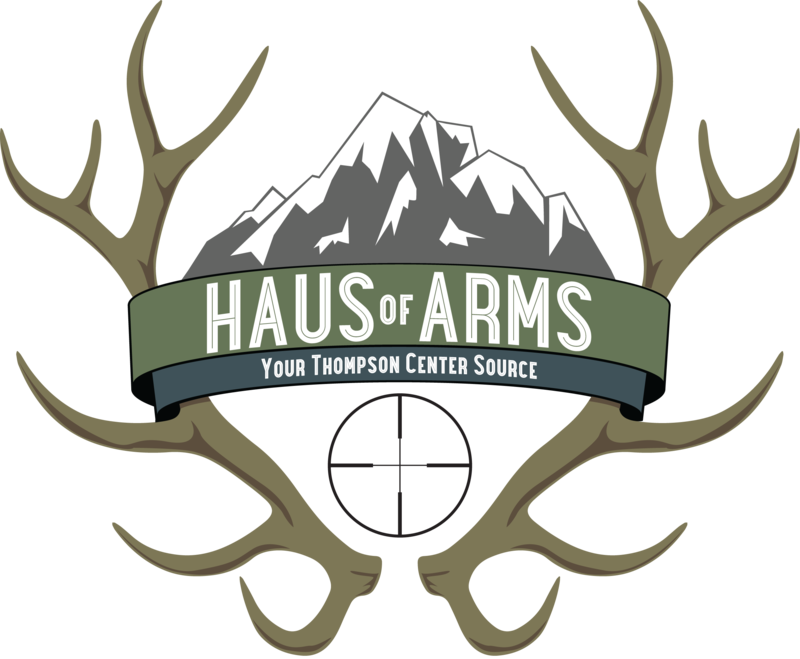 Twice a year on D-Day 6/6 and Pearl Harbor Day 12/7 we at HausofArms introduce a new "package" gun, totally designed to raise the bar of creativity, to highlight some of our excellent craftsmen in the TC Community and to help you to dream large. 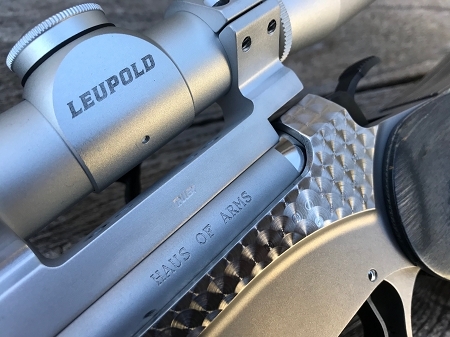 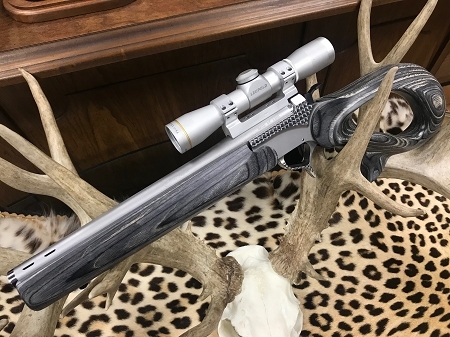 Ship all the metal parts to Ken Kelly of Mag-Na-Port Int in MI so he can begin his artistry on the metal works, jewelled frame, polished bands fore and aft, engraved with the Mag-Na-Port logo, engrave caliber , HOG LEG and HausofArms, bead blasted Talley mount to match Leupold scope and of course the patented Mag-Na-Port slotted brake. 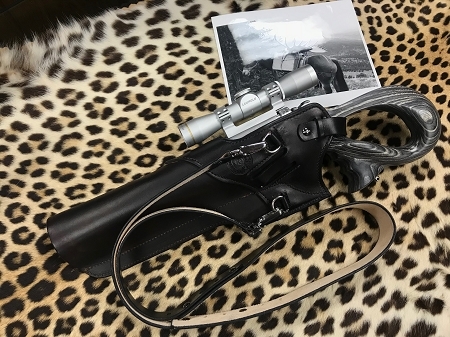 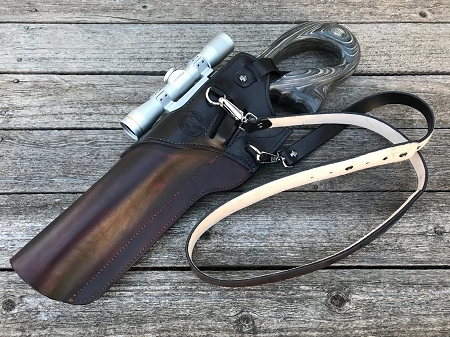 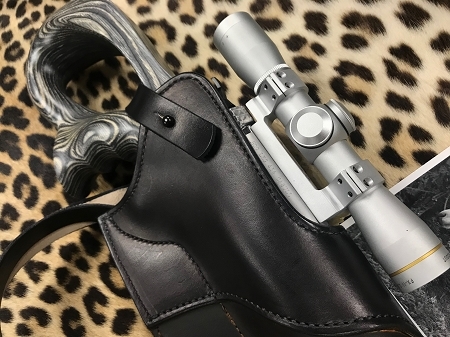 Create a "mockup gun" so Michael Kole can design and build the custom leather holster/scabbard with Bandolier. 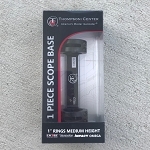 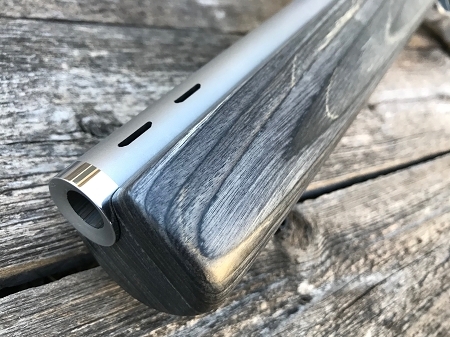 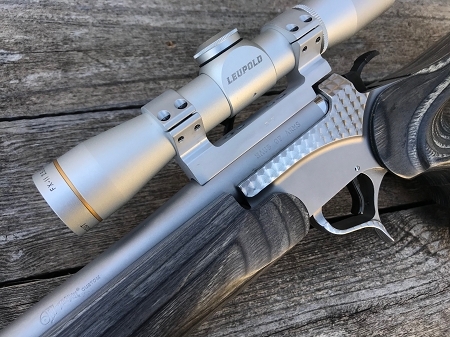 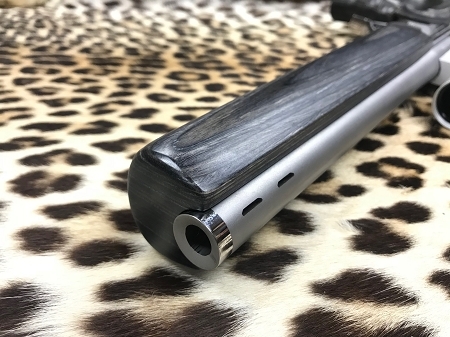 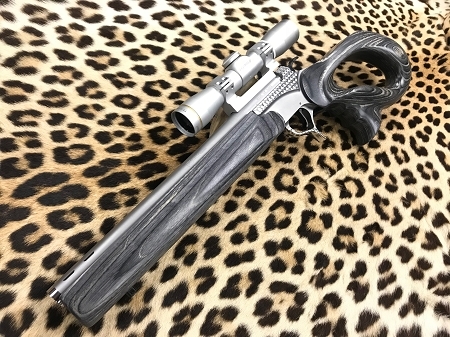 Order the Revolution stockset with custom "Mannlicher" style forend. 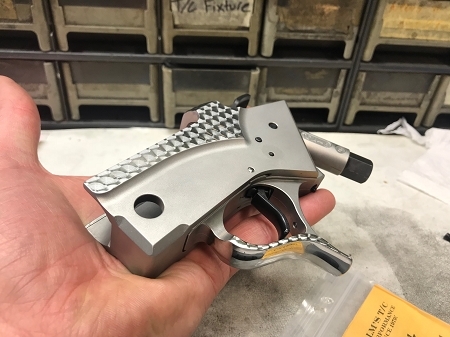 Send Eric to MI to meet and work with Ken Kelly to final assemble the "HOG LEG"
2 lb enhanced trigger job by Eric at final assembly.